You can listen to me read this as an audio-blog (2 minutes). “Is there anywhere around here I can buy index cards?” Elle exclaimed, almost like a creative energy had just ignited and she needed to feed it right there and then. You don’t often see that within people, but Elle Luna radiates it. We then had a conversation, which I think we dipped in and out of, for hours, as she gracefully painted watercolour sayings and we chatted about our lives as female designers in the tech industry and her finding herself in art. I vividly remember her drawing a match with a beautiful flame attached to it, then writing a little anecdote over the top. I was mesmerised; it reminded me of how I would find solace in painting, for hours on end, as a child. 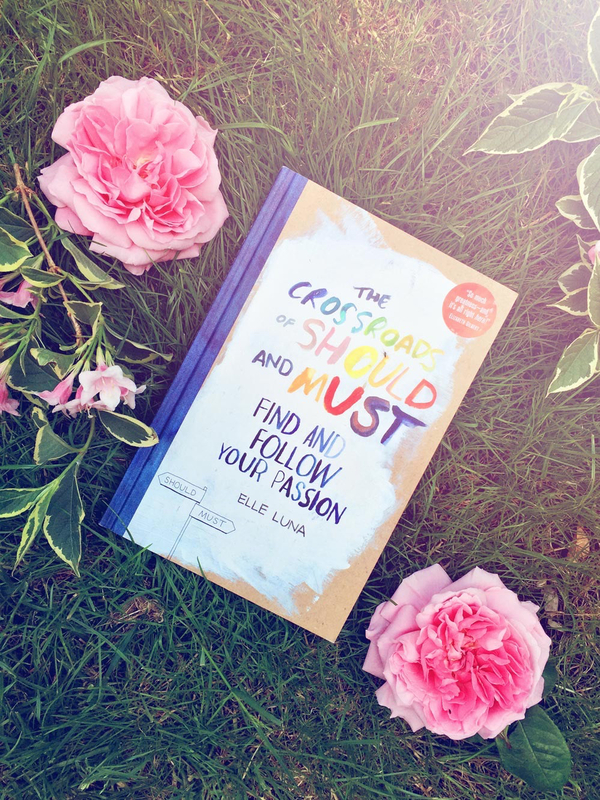 I couldn’t wait to read Elle’s book “The Crossroads of Should and Must”. I love books that are full of personal stories, a strong narrative and get right to the point and keep on enforcing it. I’ll be honest, I mainly read on Kindle, but this book sort of radiates an inner charm and serenity that definitely needs to be experienced in full technicolor print. When you examine the Should’s of your life, you are consciously choosing to get to know your prison–the expectations from other people’s agendas, the belief systems you inhabit but don’t truly embrace, and all the things you agreed to without realising it. It’s one of those books that can easily be read in a day, but you’ll find yourself mulling over the message for many weeks after; my favourite kind of book. If you are not prioritising the things you say you care about, consider the possibility that you don’t actually care about those things. You’ll get the most out of this book if you’re good at not shying away from answering questions you may have buried the answers to a long time ago. It forces you to answer (even just to yourself) some surprising home-truths you may not have thought about in years. Elle posts lots of beautiful excerpts from the book on her instagram. The book can be purchased from Amazon. The original Medium article that spurred the book.